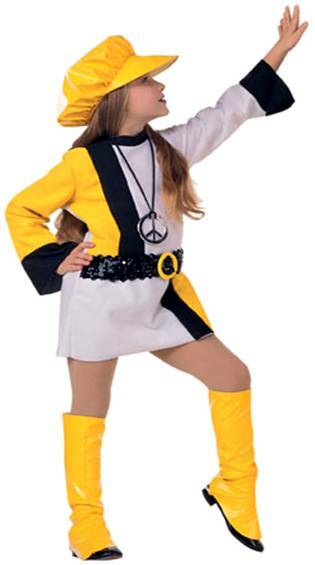 You'll look groovy in this costume that includes a dress, headband, and belt. Boots are not included, but sold separately. 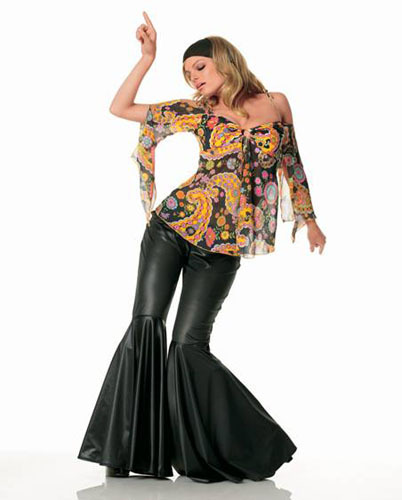 Costume includes Halter Blouse & Bell Bottom Pants. 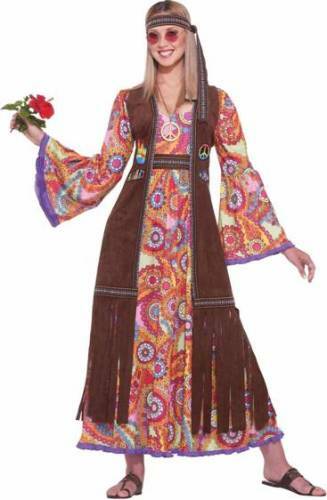 Great for those groovy 70s parties! SWIRL BELL SLEEVED MINI DRESS. INCLUDES HEADBAND. GO GO BOOTS SOLD SEPARATELY. Includes blouse, bell-bottom pants and sash. Includes dress, vest and headpiece. 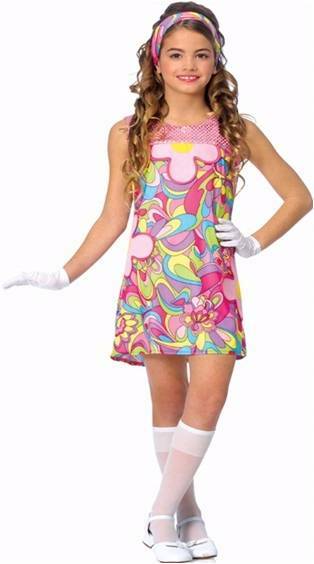 Includes headband, vest and dress.